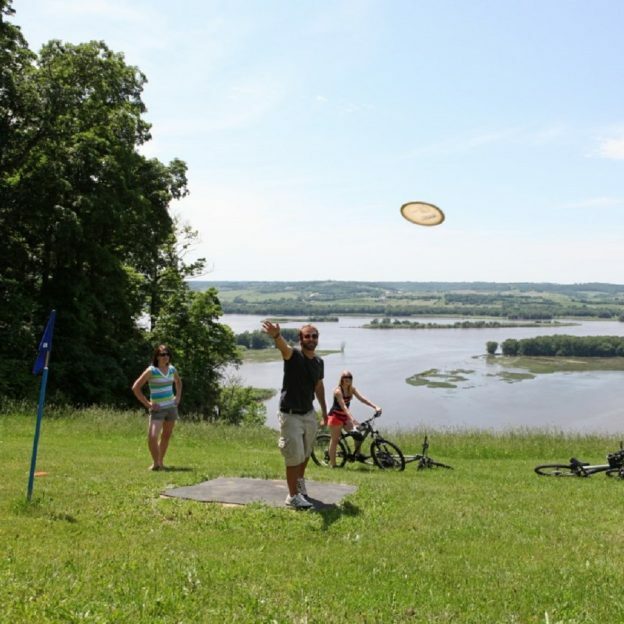 For those that love disc golf, or are eager to learn, you will find your next fun-filled game at one of the many courses in the Twin Cities Gateway. All are easy to access from the bike friendly roads and trails in the area. Throughout the nine cities of the Gateway, there are many different options to find a disc golf course for you to enjoy. So, grab your disk bag and bike on over to one of these electrifying courses for a fun round or two. Here in Lochness Park, on the east side of Blaine MN, the course will test your skill level. Lochness Park, on the east side of Blaine, MN (map location) is praised as the longest nine hole course in the region and meets the challenge for all that play it. There are several holes here that are surrounded by trees to give it a countryside feel. The course provides three different tee-offs designed to suit professional, intermediate, and beginning level players. So, whether you are a serious player, or play just for leisure, this park is perfect for you. 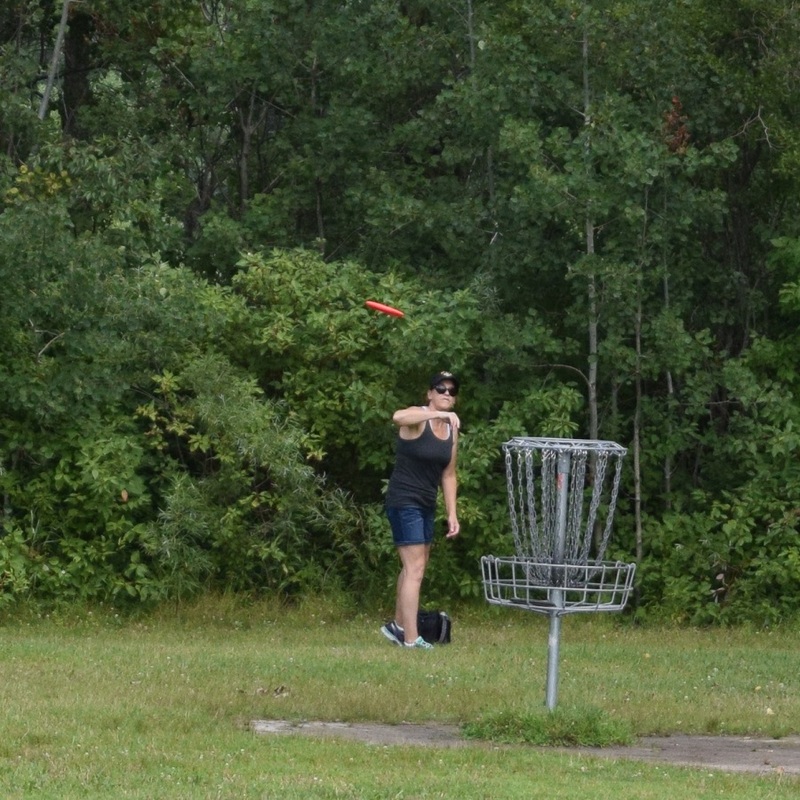 The Abundant Life Church course is another choice for Disc Golf in Blaine. Silver View disc golf course here in Mounds View (map location) is in very good condition and runs parallel along the Mississippi River Trail (MRT). Another popular place to play in the Twin Cities Gateway, the course provides a variety of holes that range from wide open to hilly with a couple tucked into the woods with walking paths that lead to them. Next time you’re out biking along the MRT add in some disc golf into your adventure. When up in the Ham Lake Area, the disc golf park here is the perfect stop for you. As one of the very few 18 hole courses in the area, the layout here creates a flow that is fun and interesting. The distances of the holes varies, keeping you on your toes to ensure every throw is a strategic one. It has to be if you want to keep your count down. And, with the Tee Pads here, it is easy to follow and you can focus more on your game. Another option in Ham Lake is the Family of Christ Disc Golf Course. For more information and terms on this growing sport see more at the Disc Golf Association. This entry was posted in News, Picture of the Day on August 10, 2016 by Andrew Ellis.